It’s almost a full-time job to keep up with the ever-changing digital landscape. 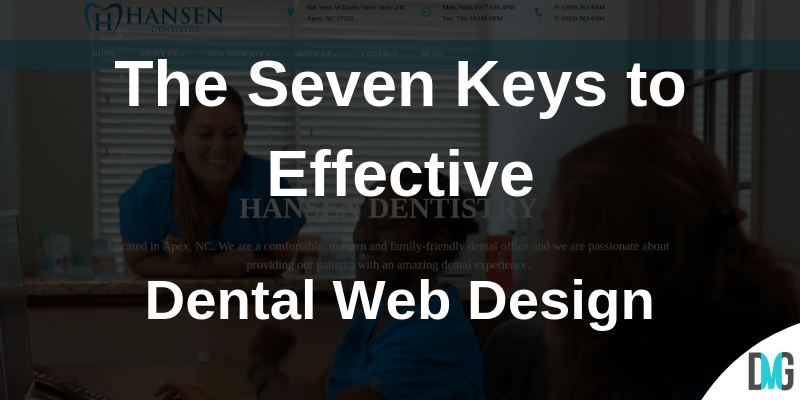 When it comes to designing your dental website, your primary goals are to make sure your site is found in search for your location and enticing enough to convert your visitors into patients. 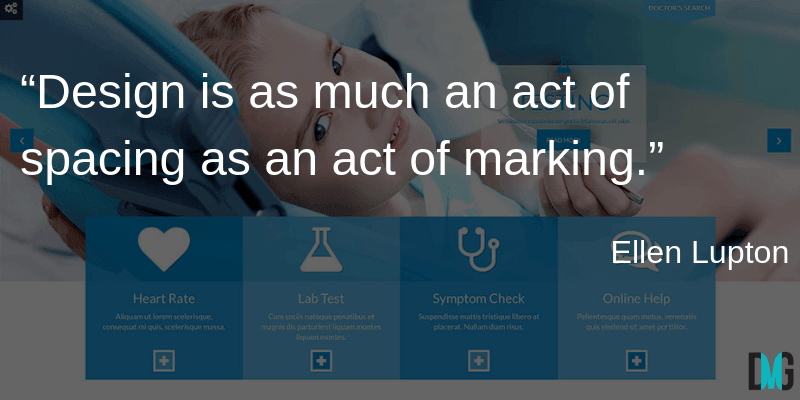 Your website should tell your brand story as well as your patients’ experiences. 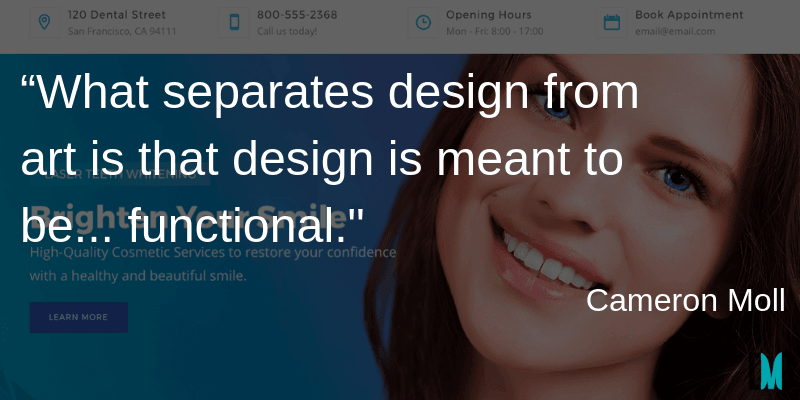 Because choosing a dentist is a very personal decision, your dental website design and site messaging should be unique and clear to help prospective patients trust you enough to make an appointment. The following tips will provide some insights into how you can create an effective web design that will help you grow your business. Easy and intuitive navigation: If your website visitor has to spend too much time trying to find information on your website, they won’t and will leave. Contact information: Make sure your phone number and address can be found easily on your site. Easy on the eyes: Avoid too many distracting or cluttered visuals that make your site look too busy. Check your site carefully for broken links or missing images because these errors will make your site look less professional. We have all heard that a picture speaks a thousand words because it’s true. If you are a pediatric dentist, showing photographs of smiling children will grab the attention of a parent looking for a dentist for their children. It is best to avoid stock images that are used on other websites because they are not unique and they are not an accurate representation of your practice. You can either hire a professional photographer or take pictures yourself with the permission of your patients and showcase real images on your site. Photos of the dentists in your practice interacting with patients is a great way to help build trust with your website visitors and make it more likely that they will call your office to make an appointment. Be sure not to overcrowd your site. Leave plenty of white space. It makes focus and comprehension easier for your site visitors. The content you include on your website needs to be concise, clear, and to the point creatively and engagingly. Don’t forget that most people are visiting your site from their mobile device where too much text can be overwhelming. Also, many people tend to scan through text rather than read it thoroughly while they are searching for the most relevant and helpful information. Make sure they can find what they are looking for quickly and easily. Dental website quality content should include professionalism and industry-expertise to convert more website visitors into patients. It is advantageous to include a blog on your site as well. Blogs not only keep your website dynamic, they also give you the opportunity to show your expertise by providing relevant and helpful dental information. Not only should you have good quality content, it needs to be laid out in the most accessible manner possible. When it comes to reading online, small font sizes, thin and low contrast fonts are the number one complaint by users. So, think carefully about the most readable fonts and formats when designing your published blogs. As stated above, choosing a dentist is an extremely personal decision, so you want to make sure your website helps prospective patients see that you are credible and trustworthy. How can you do this? 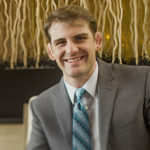 Including a video of the dentists in your practice goes a long way in helping your website visitors get to know your staff and to connect with them on a personal level. They will feel like they already know you and will be more likely to call your office. The value of testimonials cannot be overstated. Prospective patients will put more weight in how others describe your services than what you say about yourself. Although you want your content to be reader-friendly and sound natural, you also have to write for the search engines. If your site can’t be found in search, it won’t matter how great the design is if no one sees it. You need to carefully choose keywords and phrases to make sure your website is prominently placed in organic search engine results. This is accomplished by search engine optimization (SEO). Patients are searching in Google for your dental services. You want to make sure they find you. The more helpful and valuable information you provide to your website visitors, the more likely they will be to return to your site and the higher the likelihood they will call your office. Why is that? By publishing articles, blog posts, or videos that describe specific dental procedures offered by your practice, you are helping possible future clients understand exactly what they might need to have done and what to expect. What makes your dental practice different than others in your geographic location? Do you specialize in one specific area that your competitors don’t? Whatever it is that makes you unique should be consistently advertised and promoted on all channels including social media, newsletters, and brochures. 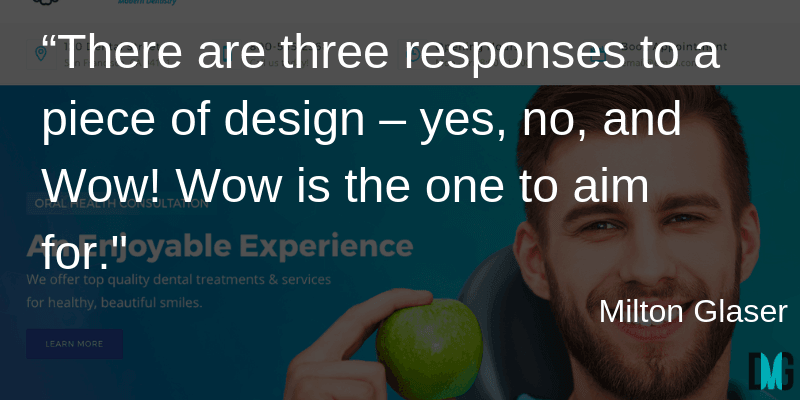 When designing your dental practice website, keep in mind that there is a psychology behind why patients choose a dentist. Keep this top-of-mind when creating your site and crafting your messaging. Also, focus on earning the trust of your prospective patients and getting found in Google search.